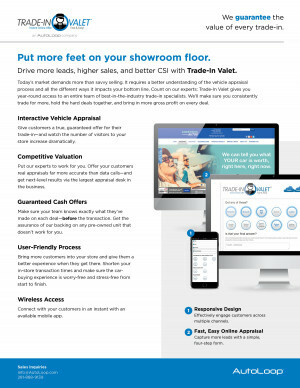 Only dealers understand all the unique challenges of being dealers. 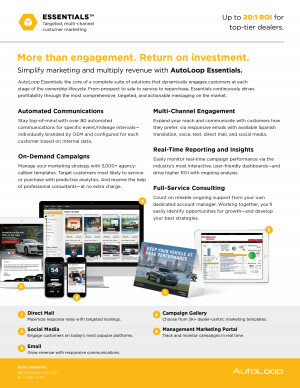 And only AutoLoop’s unique automotive marketing solutions—designed by dealers, for dealers—include industry-leading products to handle all those challenges with ease. 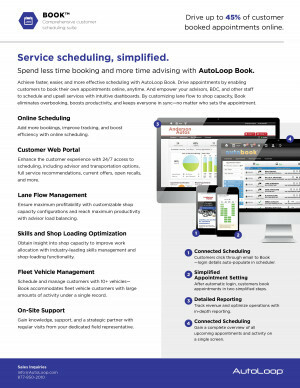 Our dealer-centric platform provides the only true end-to-end life cycle marketing solution. 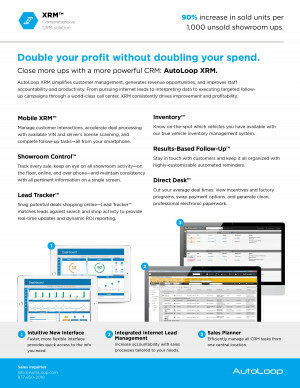 From initial sale to ongoing service to subsequent repurchase, our suite includes every product you need.